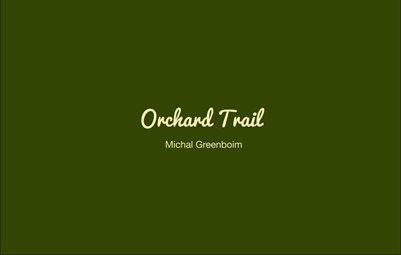 Orchard Trail - Soft Cover 8.25" x 5.25"
In “Orchard Trail” Michal Greenboim creates photographic diptychs. These photographs were taken as individual images over the years, as daily responses to the world around her, as in a visual journal, and later paired. In examining the photographs she realized that she “had subconsciously been photographing [her] childhood.” She says, “The pictures in front of me held deep memories of curiosity, innocence, and wonder. They were my remembrances, wandering in the backyard, exploring moments like the sound of a tree [or] a bird in the sky.” Images were in solo exhibitions at The Griffin Museum Of Photography and in Davis Orton Gallery.